Make the most of our completely free law guides! They've been written for you by qualified lawyers and legal educators, with input from leading law firms. Full of case studies and step-by-step guides, they cover everything from deciding on law and university, to the acronymic courses (LLM, GDL, LPC and BPTC) and onto training contracts and pupillage, by way of work experience. Start reading now! Get an overview of law careers, what they entail and whether they could be right for you. What are the main differences between the two professions? Find out here. Take our 2-minute quiz to find out if you’re better suited to being a solicitor or a barrister! Find out what a solicitor does and earns - and how to become one. Think you're a budding barrister? See if you're right and what steps to take. Endorsed by CILEx, this page gives a step-by-step guide to the profession. Learn what a paralegal does, how to qualify as a paralegal and how much you could earn. This page explains what law apprenticeships are and how you can get involved. Find out more about studying a law degree (the LLB) at university here. Learn what studying law at Oxbridge is like and how to get ahead in your application! This section will help you write a stand-out personal statement for law. This section explains what the LNAT entails and suggests strategies for scoring higher. Thinking of postgraduate law? This section covers what you need to know about the LLM. Find out more about legal work experience, from vacation schemes to mini pupillage. If you didn't study law at uni, you will need a Graduate Diploma in Law (GDL). Find out more! Want to become a solicitor? Learn about the Legal Practice Course (LPC) here. 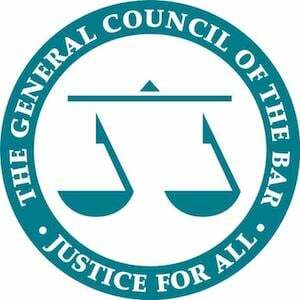 Want to become a barrister? This section covers all you need to know about the BPTC. This page guides you through training contract applications and choosing the right firm for you. This section details the pupillage application process as well as how to tackle interviews. Find extra information about the various law firms, as well as case studies and interviews. All the recent legal happenings you need to know about - in case they come up in your next interview.